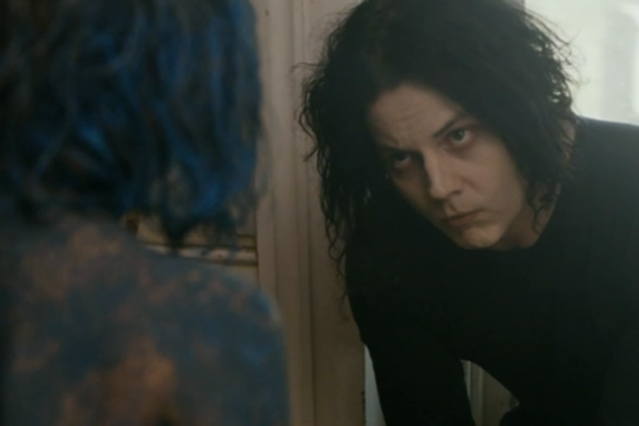 “Sixteen Saltines” is the more muscular, rock-oriented song out of the two that have emerged — in non-balloon form, at least — from Jack White’s April 24 solo debut Blunderbuss. But in the song’s new AG Rojas-directed video, he’s as much the passive victim as he is in the mellow advance track “Love Interruption,” in which the former White Stripes frontman sings of being bitten, stabbed, and having his mouth split open. This time, it’s actually much worse: His hands are bound with rope, and a tribe of feral, depraved youths, at least one of whom somehow possesses the ability to fly, are about to — well, we won’t spoil it. At the very least, the visuals make for a confusing but morbidly fascinating accompaniment to a jealousy-bristling scorcher that finds the Third Man Records founder yowling something like, “She doesn’t know that when she’s gone I sit and drink her perfume.” Cheers!